SD-WAN specialist Talari Networks is planning a year of channel expansion making some executive changes and widening its territorial coverage. The firm has promoted its former vp of the central US region George Just to become its vp of worldwide channel sales at a time it has delivered its strongest results in Q4. Just has been responsible for developing the relationship with Tech Data in the US and working with Master Agent Avant Communications so comes with channel form. “Talari is 100% committed to his vision of working even more closely with MSP and systems integration channel partners to increase their business opportunities and sales pipelines, especially with real-time apps like VoIP," said Patrick Sweeney CEO of Talari. Just said that it had already established a solid partner base and those signed up were enjoying sales growth around SD-WAN technology. The other plan for this year is to work closely with its UK distribution partner Zycko, part of the Nuvias Group, to expand channel coverage across some of mainland Europe. Atchison Frazer, head of worldwide marketing at Talari Networks, said that Nuvias already had strong operations in Germany and France and it made sense to look into using those as a way of increasing its European coverage. "Why are we content playing only in the UK? They are strong in Germany, France and the Middle East so our first half plan will be focused on expansion, with Zycko," he said. Frazer said it would also be a positive getting Just into a channel chief role because it would help it coordinate its indirect activities. "We have been around for a while but never really had a global channel chief. 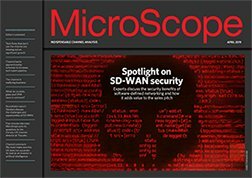 In this case you are getting someone with deep domain expertise in SD-WAN," he said.